FAIRFIELD — Police are investigating another shooting of a union building on Main Street, after the staff discovered BB gun pellets in the windows last weekend. On Sunday morning, workers found the pellets lodged in all five of the lobby’s plate-glass windows, according to training director Christopher Trider of the International Brotherhood of Electrical Workers Local 1253, located at 176 Main St. 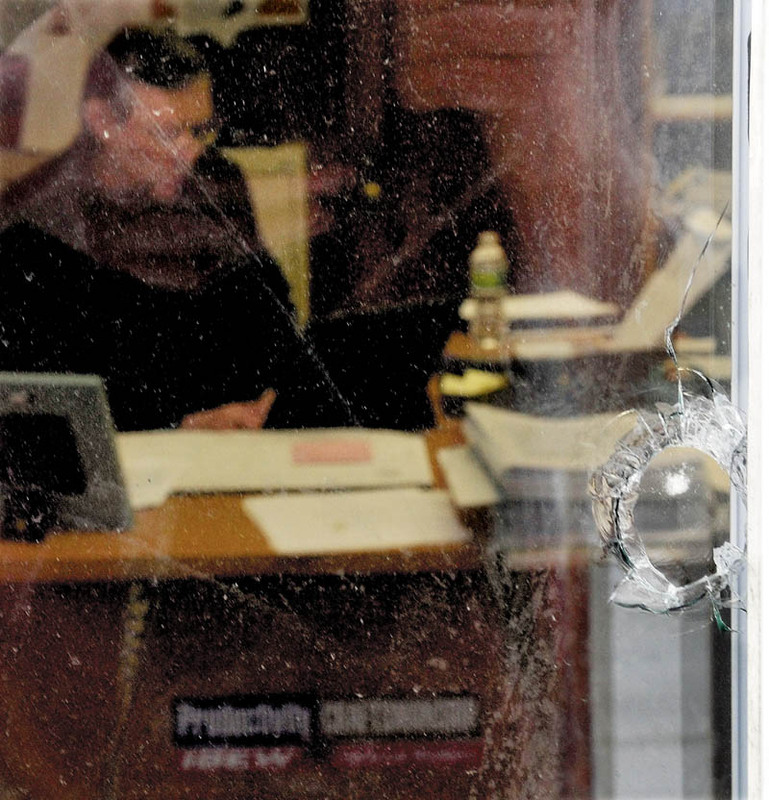 In November, bullets broke the plate-glass lobby window and traveled into an interior office, but none of the 20 people in the building at the time was hurt. This time, the building was unoccupied when the pellets damaged the newly replaced windows. Police were not able to release further details about the incident, because Sgt. Paul St. Amand, who responded to the incident on Sunday, was not working on Monday, according to police dispatcher Jeanne Kempers. After the Dec. 20 shooting, business manager Jeff Rose said union officials planned to implement additional security measures to keep the people working in the building safe. The December shooting happened in the early evening, when at least seven shots were fired from what police believed to be a passing car. At the time, Fairfield police Chief John Emery, currently out on administrative leave, said the union hall seemed to have been specifically targeted but he didn’t know why.